Care3 transforms interactions between patients, families, and providers into ongoing Conversations to improve health over the entire patient journey. Care3 uses the three (3) main elements of communication – text, media, and data – to create ongoing digital “Conversations” between patients, family and care providers. 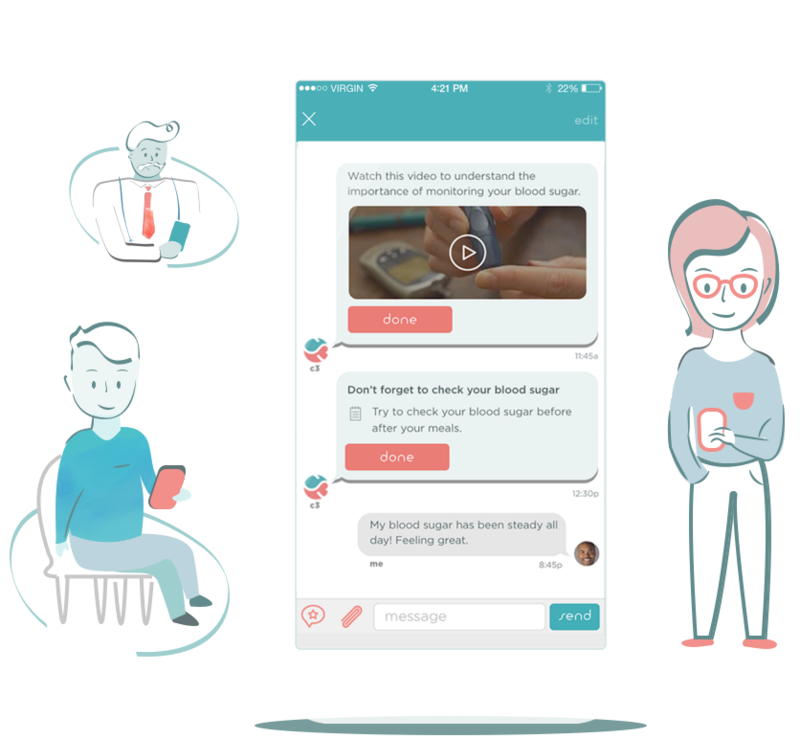 Care3 Conversations include not only text messaging, but appointments, task-sharing, symptoms and vitals tracking, and real-time incident reporting. It’s as simple as sending a text. No longer are interactions with doctors limited to what can be remembered during the visit. With Care3, the conversation continues, improving access to care for patients and delivering real-world data on treatment effectiveness for providers. Send group text messages to keep everyone in the loop on care needs and events. All text messaging conversations on Care3 are secure for healthcare (HIPAA-compliant), so you can be confident that your conversations are held with the utmost privacy. Use media (photos, video, audio) to provide context for family and care providers about your experiences. All media is stored and encrypted on our secure servers and will only be downloaded to your device with your permission. Chart your own data by tracking symptoms and events on an Incident Report. Care3 charts data in real-time for easy viewing and sharing with others. View History by week and month to see trends and share with your care team. Take care of yourself and your loved ones with Care3. Download the FREE app today!